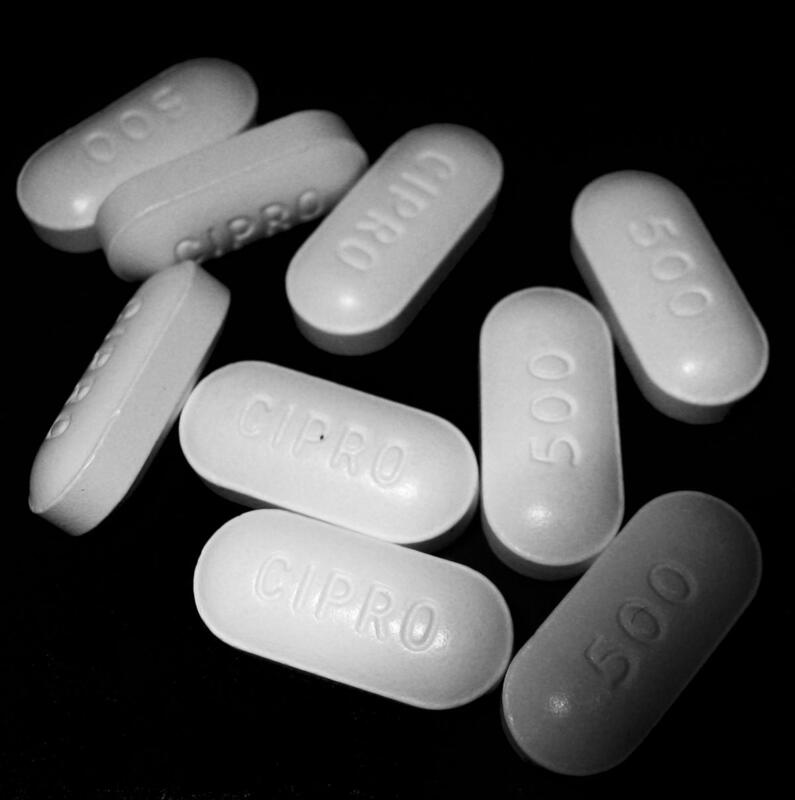 Researchers say many doctors are prescribing Ciprofloxacin to patients upon discharge when less risky antibiotics might be as effective. A new University of Michigan study finds that doctors frequently send discharged patients home with a prescription for risky antibiotics. That's even when the patients were taking less risky antibiotics in the hospital. The study looked at people who were hospitalized for urinary tract infections or pneumonia. The risky antibiotics include Ciprofloxacin (often just called Cipro), Leviquin and generic drugs ending in "floxacin." Lead researcher Dr. Valerie Vaughn says they're linked to bacterial resistance, as well as tendon ruptures, and, most alarmingly, aortic ruptures. "The aorta is the big artery that leads from your heart," says Vaughn. "These antibiotics can increase the risk of that big artery breaking, which can be deadly." In all, these drugs come with six "black box" warnings. A black box warning is the strictest warning put in the labeling of prescription drugs by the Food and Drug Administration (FDA) when there is reasonable evidence of an association of a serious hazard with the drug. Vaughn says often, patients can be prescribed penicillin or ampicillin instead. She says many people mistakenly think they're allergic to those drugs. But when tested, only about 5% actually are. "Really think about asking your physician whether that antibiotic can be stopped or if it can be changed to something safer," she says. Superbugs kill thousands every year, so how can we change the way we use antibiotics? The warnings about "superbug infections" and over prescribing antibiotics have been getting stronger and louder in recent years. Yet, it's still happening and we are seeing people die from infections that are caused by these so-called superbugs. The Centers for Disease Control, for example, is telling us that every year 75,000 Americans with hospital-aquired infections are dying while they're in the hospital. A new study says overuse of antibiotics is still a big problem, fifteen years after the Centers for Disease Control began a campaign to stop the practice. "We’re just sick for a long time and we just want that magic pill to fix us... But if we have a virus, an antibiotic is not gonna help. And sometimes physicians cave in to the pressure from families who say, 'just do something'." Udow-Phillips says drug-resistant staph has become a huge problem. In fact, more Americans die every year from antibiotic-resistant staph infections than AIDS. The practice of overprescribing the drugs is a bigger problem in some parts of Michigan than others, the study found. In Holland, only about 10% of children who saw a doctor for an upper respiratory viral infection were given a prescription for antibiotics. But in West Branch, nearly 68% of children with upper respiratory infections were given a prescription for an antibiotic. Udow-Phillips thinks the differences in prescription rates is most likely because the CDC campaign focused on pediatricians rather than family physicians or internal medicine specialists. She says more children may be seeing family physicians in areas like West Branch. Udow-Phillips says the worst part of it is, physicians are often over-prescribing so-called "broad spectrum" antibiotics, when "narrow spectrum" antibiotics would, at least, do less harm.